For 56 years, Louis Mofsie has danced with his troupe, making Native American heritage shine and ensuring that age-old steps live on, even if their tribes of origin may have forgotten them. Born in Brooklyn 82 years ago, the director of the Thunderbird American Indian Dancers-which he founded in 1963 — is a native New Yorker who only saw Indian reservations on trips out West. The son of a Hopi from Arizona and a Winnebago from Nebraska, he was still passionate about Native American culture as a young man, quickly looking beyond his tribal ties. 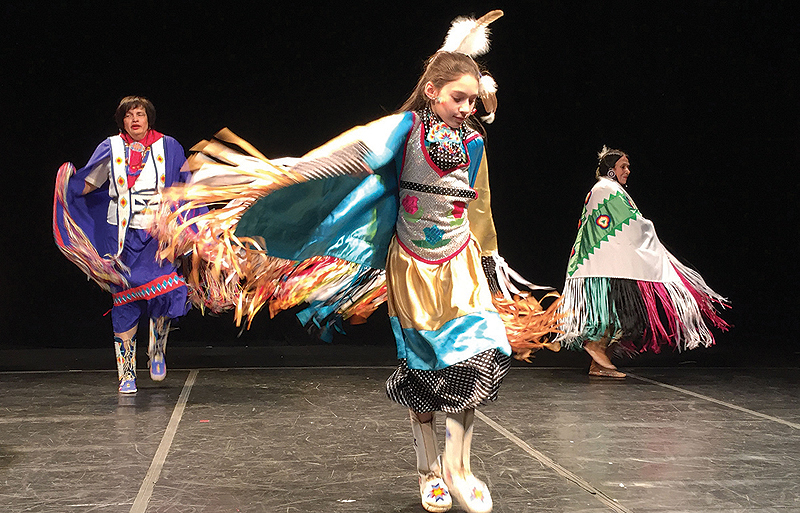 Sometimes inter-tribal, often presented at pow wows, large community gatherings, Mofsie’s chosen dances focus on nature, mainly wildlife, such as the Robin dance, which celebrates the arrival of spring. The step is often supple, even airy, like a series of bounces alternating to the rhythm pounded out by percussion instruments and songs. It’s not a couple’s dance, even though women and men practice; the sequencing recalls a bit of swing, or even traditional rock, which has the same fluidity. Louis also fondly remembers his meeting with the famous American choreographer Martha Graham and his Mexican counterpart Jose Limon. “Many of their dances were influenced by native American dances,” he says. The old dances intermingle steps that evoke the history of Native American people and their struggles with the white men altering their way of life forever. One of them refers to the federal government’s forced assimilation policy from the 1870s to the 1960s, which sent thousands of Native American children to boarding schools outside reservations. Mofsie is delighted to see more people who are deeply interested in Native American culture, as evidenced by the series of shows that was packed. But he is more concerned today about the preservation of this cultural heritage, which he knows is fragile. “Some of these dances, I think, they’re no longer” danced. “I think it’s important for those dances to be kept alive so that’s what we’re doing,” he told AFP. Mofsie would like them to be cataloged and documented in video, for generations to come. He collaborates with the American Indian Community House, an inter-tribal organization based in New York, which has a large collection of documents. But so far nobody has sought to inventory the dances fully, including in images-not the AICH or the National Museum of the American Indians, part of the Smithsonian Institution in Washington.